Dubbed by many as the 8th Wonder of the World, this magnificent rice terraces is indeed a wonder that can match some of the great, brilliant feats of mankind during the ancient time. It was built by the Ifugaos-one of the indigenous tribes of the Philippines-2,000 years ago without the use of modern tools. It was laboriously and intellectually carved on the mountains of the Cordillera. And unlike some of the great infrastructures of the ancient time like Taj Mahal and Angkor Wat, this was done without the use of slaves. Instead, the Ifugaos exercised “bayanihan” or helping each other. 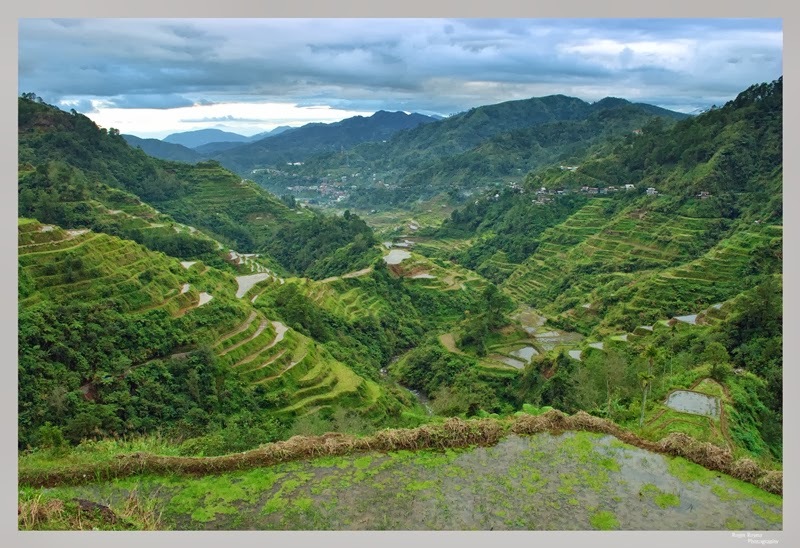 Banaue Rice Terraces as seen from the viewpoint. Its water system is a reflection of the intelligence of the Ifugaos. Located at an elevation of 1,500 meters above sea level, the rice paddies are being fed by waters that come from the rainforest. It is intricately designed to reach all the terraces-a remarkable water system indeed. It is also been said that if you put all the terraces together from end to end, it could encircle the globe. Growing up in Santiago, Isabela, I had the opportunity to visit this marvelous place on numerous occasions. It is located just 1 ½ to 2 hours by car from my hometown. But even if I’ve been to this place a thousand times, I am still amazed at this beautiful landscape every time I visit. Last December, during my Christmas vacation to the Philippines-through the kindness of CVSH people, like the Bolivia family, Lozano family, and Jimenez family, I was able to experience the 8th Wonder of the World again. We departed early in the morning from CVSH, Santiago City on a Mitsubishi Pajero and a Mitsubishi Delica. After approximately 2-hour drive, passing by the beautiful province of Nueva Vizcaya, we made it to Banaue, Ifugao. And I was able to experience again, the cold breeze, fog, friendly locals, indigenous products, fresh vegetables, betel nut-chewing scene, and raw beauty of Banaue. After 7 years, I was able to behold again this wonder that was always taught and bragged by our Social Studies teachers and is on the posters of every elementary school in the Philippines. After catching my breath, I took out a 1,000 peso bill and compared it to the real thing. It was really an experience. After a luscious lunch of local products beside a waterfalls, we headed back to the terraces for a hiking experience. It was a meaningful experience to be back in Banaue, to behold and experience an astonishing product of the extraordinary feat of the Filipinos, particularly the Ifugao tribe. I encourage you, locals and foreigners alike, to visit Banaue Rice Terraces and appreciate a colossal effort. You will have a meaningful travel experience. 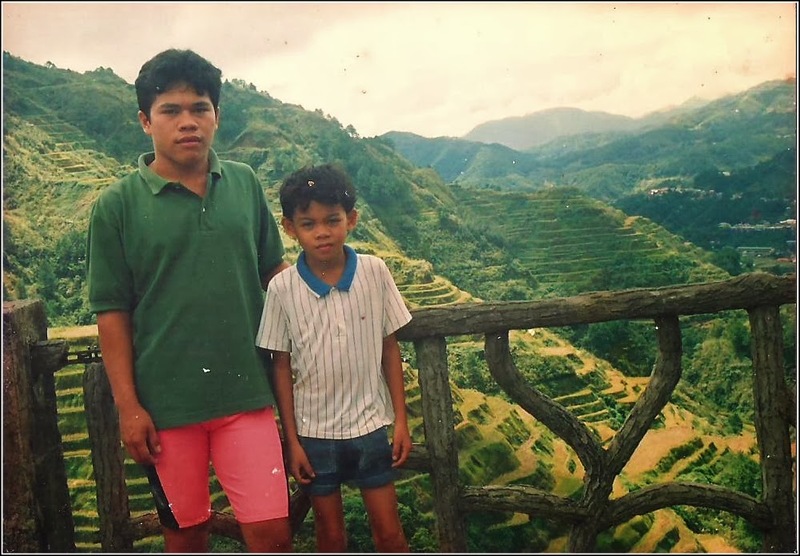 Have you been to Banaue? Tell us about your experience. Click this link for details on how to get there.